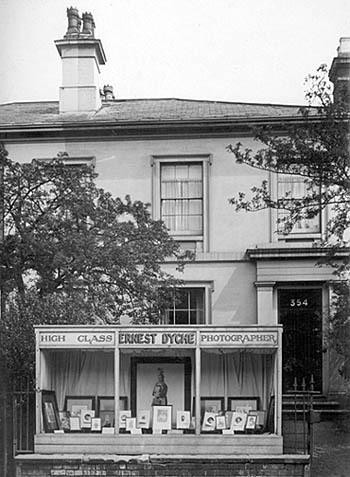 Ernest Dyche, (1887-1973) was a self-taught photographer who opened his first premises, The Palace Studio, at 32 Coventry Road, Bordesley Green around 1910. The studio was situated close to the Bordesley Palace Theatre, and Dyche developed a specialised trade in theatrical portraiture, producing photographs of the music hall and variety acts that performed on the Birmingham stage. 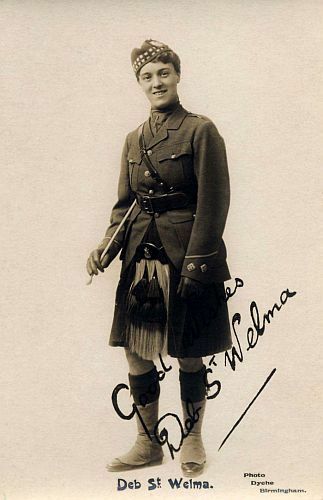 He also produced individual, group, family and wedding portraits for those attending his studio. They continued taking ‘Club land and Theatrical’ portraits up until the mid-1950s, when the rise of cinema and television led to a decline in theatre attendance, and music halls and variety theatres began to close. The influx of cameras from Europe after the war also encouraged more people to take their own pictures, and together these two factors led to a decline in Dyche’s business. This change occurred around the same time that the first wave of migrants arrived in Birmingham from Africa, the Caribbean and Indian sub-continent, many of whom visited Dyche’s studio to have portraits made for their friends and relatives back home. Over the next twenty-five years, the bulk of the studio’s clientele was drawn from Birmingham and Balsall Heath’s Asian and African-Caribbean communities. By the time it ceased operating in the mid-1980s; the studio had inadvertently documented the development of both the first and second generations of this initial wave of immigration, and helped to record an important phase in Birmingham’s history. This entry was posted on December 21, 2013 at 7:01 pm and is filed under Articles, Arts, Black History, Community, Culture, Current Affairs, Education, Literature, Music, News, Newsletter, Publications, Writing with tags Articles, Arts, Black History, Community, Culture, Current Affairs, Education, Literature, Music, News, Newsletter, Publications, Writing. You can follow any responses to this entry through the RSS 2.0 feed. You can leave a response, or trackback from your own site. Great little article! I knew the area well since I grew up in Birmingham during the forties, fifties and sixties before my sojourn to Africa for twenty years! My parents once had a family photo taken at the studio on Coventry Road at sometime during the war. Are the photos taken by Dyche on display anywhere?